The unspoiled, traditional white walled, red roofed village of Iznájar, with its castle dating from the 8th century and church from the 16th century, has spectacular views over a 32 km long lake which hosts a variety of water-sports and fishing. The Parish Church of “Santiago Apóstol” which is in the highest part of the village, dominates the hillside with its imposing masses of stone work. It is an unfinished work that has developed from 1638 to 1945 and that constituted an ambitious Renaissance project whose authorship is attributed to Hernán Ruiz "el Jóven". A huge restoration between 2005 and 2008 has returned its magnificence. This restoration was carried out by the Bishopric with the collaboration of the City Hall and the employment agency. The Parish Church projects its image on the peculiar cemetery of Iznájar which is configured like a small village built within the limitations imposed by the location, in which its drops and slopes are lined with small borders and stairs. Antequera is located in the very heart of the vast Andalucian plain. Referred to as "the city of white and gorgonian churches" by Gerardo Diego, it is sheltered alongside the famous mountain range "the Torcal of Antequera". 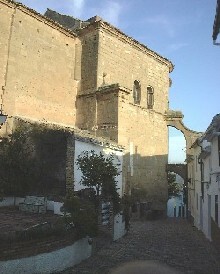 Antequera is a city of ancient history and home to monuments built over the course of many centuries. 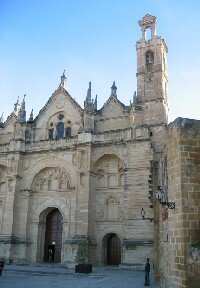 The principle exponents ofAntequera's religious architecture are the Royal Collegiate of Santa Maria la Mayor and the church of San Sebastian both of which belong to the Renaissance age. Within this same Baroque style are several other churches worth highlighting; numerous religious orders established their convents and monasteries in the city. Mother nature has bestowed upon Antequera an uncountable number of attractions. 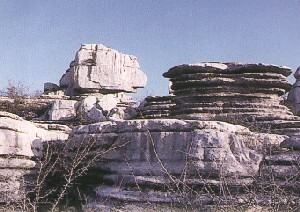 The most outstanding of all is the "Torcal", which is home to millions of forms shaped by the erosion of an immense base of calcareous rock. It is a dreamlike and surreal landscape which surprises and enchants the unsuspecting visitor. Antequera's heritage is not only historical and natural but also cultural. There are three different periods which define Antequera's literary importance: the 16th and 17th centuries, during the Romanticism and the present day. It was from the Royal Collegiate of Santa Maria that a remarkable group of poets, headed by Pedro Espinosa, emerged.